Sleeping difficulties are a common childhood complaint with up to 40% of children experiencing sleep problems at some point in their development (1) (2). This can become disruptive to the whole family unit, as regular night waking requires parent intervention to fall back to sleep. Sleep itself is a crucial part of human physiology – and there are many theories as to why it is that we sleep. From protection to regeneration and restoration, there are many aspects of sleep that aid us in our day-to-day living. Recent research has come to highlight the importance of sleep in regards to memory function and learning. Adults use sleep to consolidate facts and knowledge during slow-wave sleep and motor skills during rapid-eye-movement (REM) sleep state. Children, however, will prioritise consolidating facts and knowledge over motor patterns. There is a strong link between sleep quality and quantity with daytime cognitive and behavioural performance (1). 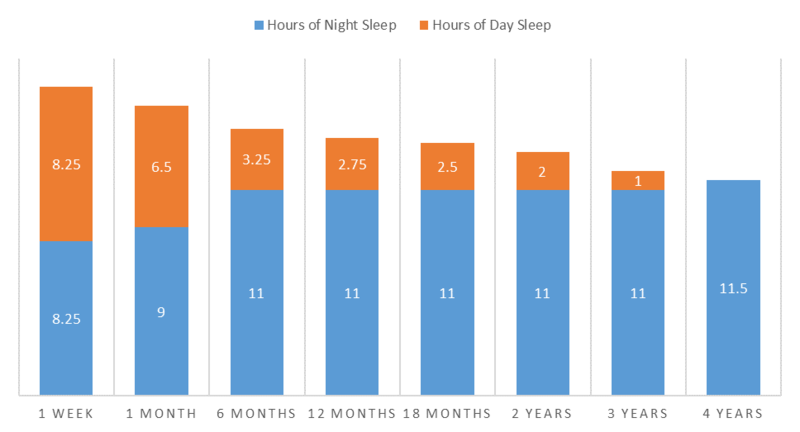 This was highlighted in a study showing that persistent reduction of just one hour of a child’s sleep at 40 months of age can impact on their academic performance at 6 years of age. This further adds to the growing body of evidence showing the importance of developing and maintaining healthy sleeping patterns on later behaviour and academic performance (3). Initially, a child has higher sleep requirements; up to 16 hours in a 24-hour period, equally divided between day and night sleeps. A newborns’ sleep cycle is initially dependant on feeding, with night waking for feeding every 2-3 hours with the occasional 5-hour cycle (4), and day sleep cycles being split into four equal naps typically of 2 hours each. By six months of age, a child’s night sleeping patterns begin to resemble that of an adult and do not require regular overnight feeds (2) (5). It was in fact shown that by decreasing regular night-waking for feeds that breastfeeding was able to continue for longer. The total number of hours that a child sleeps continues to decrease over time, reducing to 12 hours at 3 years of age (2). Day sleeps also gradually decrease; reducing to one day nap at 18 months of age before phasing out the day nap by 4 years of age (6). What could be disturbing my child’s sleep? A sensitivity to cow’s milk protein has been associated with colicky presentations in the newborn, and removal of cow’s milk protein from the infant diet in a study in 2006 resulted in improvement of sleeping patterns in almost 85% of candidates (2) (7). Nocturnal Enuresis, or bed-wetting, is the involuntary voiding at night, and affects up to 20% of children at 5 years of age (6). This may be a reflection of brain maturity, as it has been shown that children who lag developmentally at one and three years of age, are more likely to have enuresis at 6-years of age (2). Commonly in children aged 3-8, night terrors tend to occur more during times of stress or, ironically, fatigue. Terrors involve the child sitting up, screaming inconsolably for up to 30 minutes during which time their heart is racing, breathing rapid, and may have other autonomic dysfunctions such as sweating or altered temperatures occurring (2). There are suggestions that night terrors are also a result of brain immaturity and being unable to process the days’ events. Thought to affect 1-3% of children, Obstructive Sleep Apnoea is commonly detected in children by snoring, difficulty breathing, or mouth-breathing while asleep. One major cause is adenotonsillar hypertrophy, or enlarged tonsils, common among children with recurrent infections, allergies, intolerances or sensitivities (such as Cow’s Milk Protein senstivity) (2). Dermatitis, such as eczema, is thought to have a two-fold effect on sleep behaviours; firstly, the itchiness of the skin and scratching can interrupt sleep, and secondly, by interactions between the immune system and circadian cycles promoting wakefulness (8). There are numerous studies that show the impact of lifestyle factors on sleep, but one of the most impacting and researched is that of electronic media (1)(Many more references available on request). The majority of screens that we use on our electronic devices act on inhibiting or reducing melatonin production – the hormone that is essential for falling asleep. Colic, or persistent crying, is experienced in up to 21% of infants, and is the most common complaint for a parent to seek professional advice (9). Recent literature suggests one potential cause of colic is musculoskeletal discomfort, resulting in inappropriate behaviours such as disrupted sleep (10). DOES YOUR CHILD TAKE MORE THAN 30 MINUTES TO FALL ASLEEP? DOES YOUR CHILD WAKE MORE THAN ONCE IN THE NIGHT? IS YOUR CHILD VERY RESTLESS AT NIGHT? This is how chiropractic may be able to help. Chiropractic may be able to help restore proper spinal and nervous system function. Research has indicated that by improving a child’s spine and nervous systems that they had a noticeable improvement in sleep duration, reduced night-waking, and a reduced length of time required to fall asleep(9) (10) (11) (12). This has been attributed to reduction of pain or discomfort experienced by the child, improved feeding quality, improved biomechanics of the spine and musculoskeletal system and improvement in the neurological function of the child. At Chiropractic Children’s Healthcare, we begin with an initial consultation that incorporates a thorough assessment which would aim to establish potential causes of the interruption to your child’s sleep. This will help to determine the best treatment of any spinal or musculoskeletal conditions, as well as providing appropriate management for any other causes of sleeping problems. This management ultimately may help to promote more positive long-term outcomes, as well as a happier and healthier child. 1. Novel mechanisms, treatments and outcome measures in childhood sleep.Colonna, Annalisa, et al. 2015, Frontiers in Psychology. 2. Sleep Disorders and Sleep Problems in Childhood. Thiedke, C. Carolyn. 2001, American Family Physician, pp. 277-84. 3. Associations Between Sleep Duration Patterns and Behavioral/Cognitive Functioning at School Entry. Touchette, Evelyne, et al. 2007, Sleep, pp. 1213-1219. 4. Australian Breastfeeding Association. Do I need to wake my baby for feeds?Australian Breastfeeding Association. [Online] August 2012. https://www.breastfeeding.asn.au/bfinfo/do-i-need-wake-my-baby-feeds. 5. Help Me Make It Through the Night: Behavirol Entrainment Breast-Fed Infants' Sleep Patterns. Pinilla, Teresa and Birch, L. Leann. 2, s.l. : Pediatrics, 1993, Vol. 91, pp. 436-444. 6. Kliegman, Robert M., et al.Nelson Textbook of Pediatrics (19th Edition).Philadelphia : Elsevier Saunders, 2011. 7. Chiropractic Management of Cow's Milk Protein Intolerance in Infants With Sleep Dysfunction Syndrome: A Therapeutic Trial. Jamison, Jennifer R. and Davies, Neil J. 2006, Journal of Manipulative and Physiological Therapeutics, pp. 469-474. 8. Mechanism of Sleep Disturbance in Children with Atopic Dermatitis and the Role of the Circadian Rhythm and Melatonin. Chang, Yun-Seng and Chiang, Bor-Leun. 2016, International Journal of Molecular Science, pp. 462-473. 9. Long-Term Effects of Infant Colic: A survey comparison of Chiropractic treatment and nontreatment groups. Miller, Joyce E. and Phillips, Holly Lane.2009, Journal of Manipulative and Physiological Therapeutics, pp. 635-638. 10. Management of musculoskeletal dysfunction in infants. Yao, Dan, Deng, XingQiang and Wang, MingGuang. 2016, Experimental and Therapeutic Medicine, pp. 2079-2082. 11. Chiropractic care of a pediatric patient with symptoms associated with gastroesophageal reflux disease, fuss-cry-irritability with sleep disorder syndrome and irritable infant syndrome of musculoskeletal origin. Alcantara, Joel and Anderson, Renata. 2008, Journal of the Canadian Chiropractic Association , pp. 248-255. 12. Osteopathic Manipulative Treatment for Pediatric Conditions: A Systematic Review. Posadzki, Paul, Soo Lee, Myeong and Ernst, Edzard. 2013, Pediatrics, pp. 140-152.